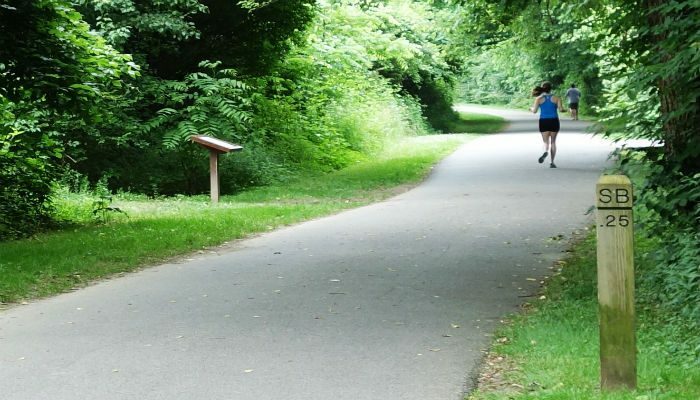 Shelby Bottoms Greenway is a beautiful, paved trail with impressive views of the Cumberland River. As you run along the river, keep your eye out for Spot Opryland’s General Jackson Riverboat. The trail is nearly 4 miles one-way, with quarter-mile markers. It’s a good bet in hot weather due to nice shade. 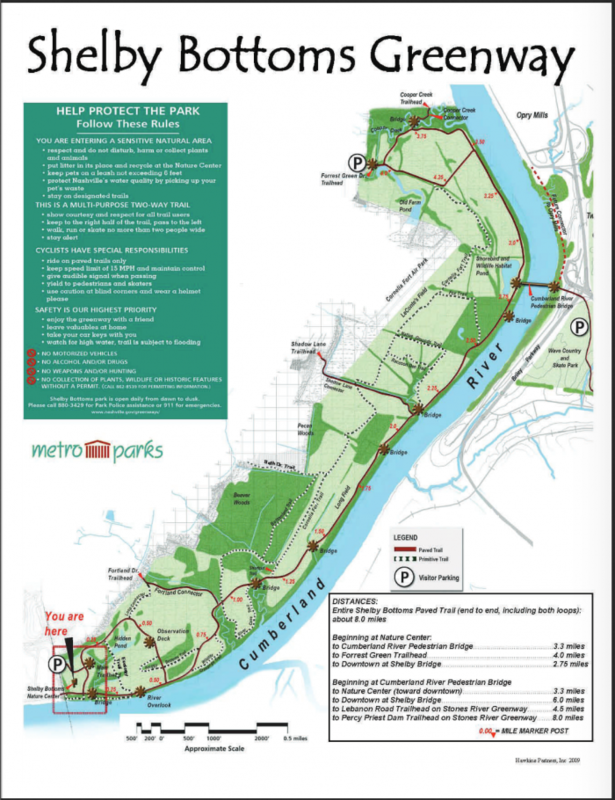 The Nature Center is a 15 minute drive East of the city, with plenty of parking. The northern terminus of the trail is just south of Opryland. Across the river is also Wave Country Water Park and a public golf course. Hi my friend! I wish to say that this post is awesome, nice written and include approximately all significant infos. I would like to see more posts like this. wonderful publish, very informative. I’m wondering why the other specialists of this sector do not understand this. You should continue your writing. I am sure, you have a huge readers’ base already! In the great design of things you’ll secure an A for effort. Where exactly you lost me personally was in your particulars. You know, they say, details make or break the argument.. And that could not be much more accurate here. Having said that, let me tell you what did deliver the results. The authoring is definitely very powerful and that is probably why I am making an effort to opine. I do not really make it a regular habit of doing that. Second, despite the fact that I can easily notice a jumps in reasoning you make, I am not confident of exactly how you seem to unite the details that help to make the actual final result. For right now I will yield to your issue however wish in the future you connect your dots better. F*ckin’ awesome things here. I am very satisfied to look your article. Thanks a lot and i’m taking a look ahead to touch you. Will you please drop me a mail? you’re really a good webmaster. The website loading speed is incredible. It seems that you’re doing any unique trick. Also, The contents are masterpiece. you’ve done a fantastic job on this topic! I am curious to find out what blog system you happen to be working with? I’m experiencing some small security problems with my latest site and I’d like to find something more secure. Do you have any recommendations? It’s really a cool and useful piece of info. I am glad that you just shared this helpful info with us. Also, The contents are masterpiece. you’ve done a wonderful task in this matter! I don’t know whether it’s just me or if everyone else experiencing issues with your website. I don’t even know how I stopped up right here, however I assumed this put up used to be great. I do not understand who you’re however definitely you’re going to a well-known blogger if you are not already. Fastidious answers in return of this question with genuine arguments and describing all concerning that.